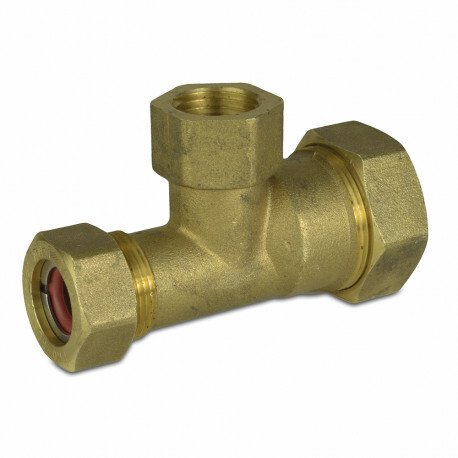 Tee fitting with 3/4" CSST (side) x 1/2" CSST (side) x 1/2" FIP (top/middle) connections. For use with ProFlex piping only. Comes complete with all washers, gaskets and O-rings.